The latest update of FotoWare on-premise adds features already seen in the SaaS offering, as well as a couple of new and exciting features that have been long awaited for on-premise customers and are introduced for them first. Is collaboration over your media files taking forever? Are you in a situation where it takes ages to go back and forth with your graphical designers over small edits on certain assets? So what are annotations? On a chosen file you can draw, highlight, pin and comment to collaborate on media files in new ways! You can also share your comments as a permalink with other members on your team! If you need to print or save the annotations to a PDF we’ve covered that, too! All these features are available in both FotoWeb and FotoWeb Pro! The improved site branding capabilities recently offered to SaaS customers are now also made available to customers running FotoWare on premises. So it’s now a simple operation to brand the site with your corporate logo, favicon and home page banners without having to write a single line of code. When integrating FotoWeb with ADFS using the SAML protocol, group membership in the Active Directory can now be relayed through the ADFS server so groups can be kept in sync on the FotoWeb server. An increasing number of customers are now taking this approach even on-premises, and allows FotoWeb to easily integrate even with complex Active Directory configurations. As the former Active Directory / LDAP integration has been deprecated, you will want to see how to set this up! The latest release of FotoWare can sync groups from your Active Directory or another identity provider using SAML, so you can easily assign access to FotoWeb archives and workflows based on your current organizational structure. The icing on the cake is support for industry-standard single sign-on functionality, including the possibility for multifactor authentication. Why is SAML great for your team? 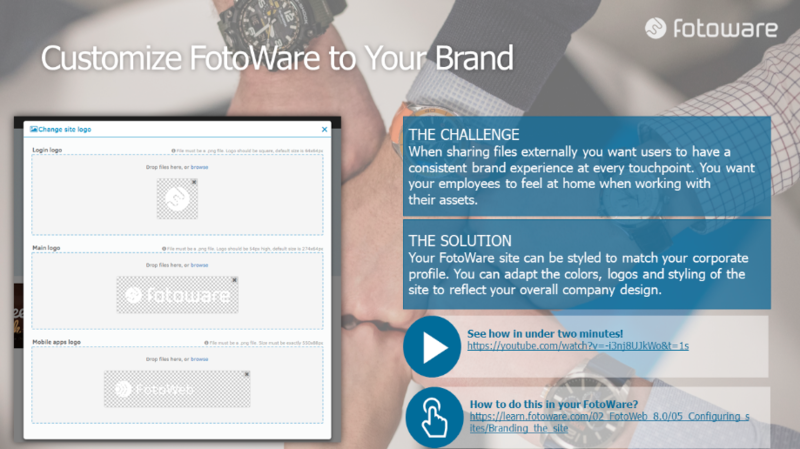 Employees can access FotoWare Digital Asset Management using the same authentication system that you use for other SSO-compliant applications. Administrators can control who has access, enforce password policies and add multifactor authentication for an additional layer of security. You can easily assign archives and workflow permissions based on the groups in your Identity Provider – giving you a single place to manage groups. Whenever a user logs in with SAML Single-Sign-On (SSO), that user will be added to one or more linked groups based on information from the Identity Provider. It’s quick to set up and easy to understand for users. 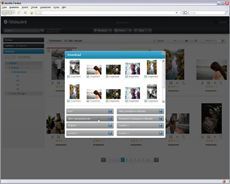 With this update, you can manage users and groups straight from the FotoWeb UI in a web browser. That means there’s no longer a need to access the Operations Center to add users or create additional groups. How cool is that? The user management documentation has been updated to reflect this central change to how FotoWeb works. We’re happy to announce that new features have been rolled out to all SaaS instances and will be released on-premise in the coming week. Localized versions will be available in the final public release. Below is an overview of new features, their use case, and links to documentation. 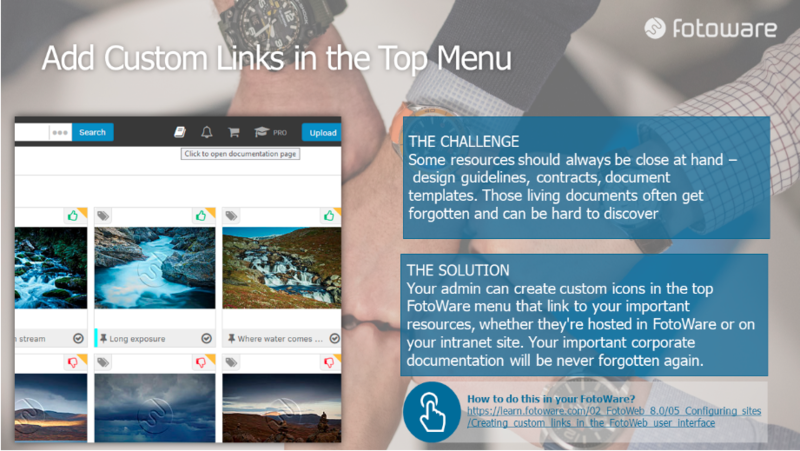 Add links to your corporate intranet or other resources of your choice in the top menu. What’s more, you can add dynamic user tags to links, so that logged-in users can pass user info when querying the third-party system. You can now extract an asset’s permalink in FotoWeb Pro in the asset info panel. Easily brand the site with your company logos. Now you can also add a custom logo for mobile apps that access your site! Administrators can now configure the system to allow users to stay permanently signed in. This way, users who log on to FotoWare can choose to stay signed in. A permanent cookie is set in their browser so that they’re automatically logged in the next time they access the site. When users log in or download content, they can now be required to approve site terms and conditions before proceeding. This is another tool that can be useful in your GDPR compliance. For full flexibility, terms can be displayed on every login and download, or only if they’ve changed since last. [Terms and Conditions at Login] Documentation available here. [Terms and Conditions at Download] Documentation available here. 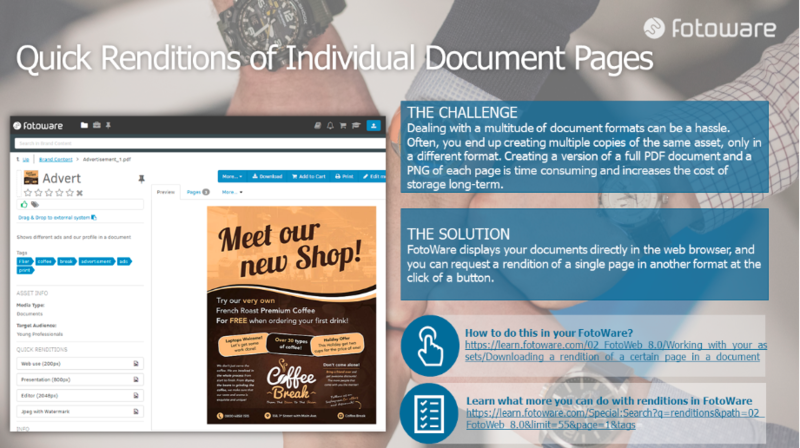 Need an extract of a certain page in a document (Word, PowerPoint or PDF)? Now you can preview the document, skip to the correct page and request a quick rendition of it! With the FotoWare API, you can now search in multiple collections, for example, all archives to ensure all results are displayed. Moreover, a search result can cover the entire site with global searches, ensuring all your files are at your fingertips at any point. OAuth 2.0 is now made available across the entire FotoWare suite and offers a standardized way of authorizing apps that integrate with FotoWare. The Opportunities: The FotoWare RESTful API makes it possible for you to create unique custom integrations for your customers. With OAuth you can now authorize custom-made web or native applications for use with FotoWare, enabling you to scale your integration and customization offering. Through OAuth authorization and integration with authentication providers such as Azure AD, SAML and Windows Active Directory, the user login experience is streamlined and makes for a secure, future-proof solution. We encourage migrating existing third-party integrations to OAuth 2.0 for improved user experience and security. The new Adobe InDesign Plugin, compatible with the latest version of Adobe InDesign, is now available to all SaaS instances. In the next couple of days, we will market this to existing customer via an email campaign. The Adobe plugin works the way you know it and offers improved features, including the possibility to link to the master asset rather than embedding it in the layout. We encourage you to go ahead and test it out and then pitch and offer it to your prospects and customers. Enjoy these new FotoWare features! 64-bit version of Index Manager and Color Factory are now available to upgrade! More files and indexes can be hosted on the same server allowing you to optimize hardware/costs. Full support for Unicode file names and file paths in Index Manager. Larger files! With the new 64-bits versions, huge documents, such as Gigabyte-sized TIFF or PSD files, can be processed. Activation of an additional sync license for Index Manager to push metadata to MongoDB is no longer required. Starting with Index Manager 8.0 build 800, the software is 64-bit. This document outlines important things to remember when planning the upgrade. However, indexes will be built from scratch and stored in a new location. In a system with many assets, this requires you to plan a service window to give the indexes time to build. This means that several Index Manager Enterprise licenses (up to 4) can be activated on the same server to increase the number of assets that can be indexed. A single server can index 3 million assets (same as before), but by adding additional Index Manager Enterprise licenses a single server can now support up to 12 million assets. This will naturally have a bearing on the server’s hardware requirements, but it also means you may be able to host your entire archive on fewer servers than was possible in the past. As the new Index Manager will build indexes from scratch the first time it starts, you should consider whether the drives where the index data is stored have sufficient available size. Memory requirements have also been adjusted – check the updated Index Manager system requirements for pointers. “Check for updates” in the FotoStation help menu. 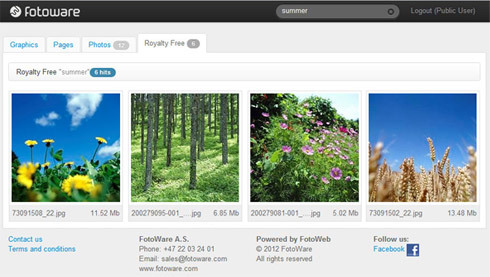 The FotoWeb Upload sub action enables you to upload assets to a FotoWeb server directly from within FotoStation. In addition, when setting up the action you can select the destination archive and folder on the server. Metadata requirements are also honored, so if files lack required metadata, you will be required to fill it in before the upload begins, ensuring consistent information for your assets. 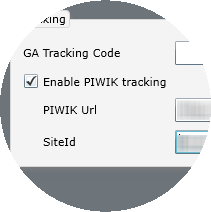 Uploads tracking is in place to allow you to resume failed or aborted uploads, whether to FotoWeb using HTTP or via FTP. A new transfer state marker visualizes which files have been uploaded. 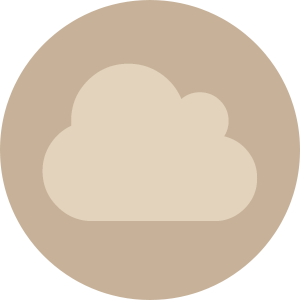 This marker is enabled by default but can be disabled in the archive’s marker setup. We understand that printing pictures from an FWP archive can take some time because the high-res has to be downloaded to the local FotoStation. In this update, you can choose to print only a lower-resolution preview version when printing pictures in an FWP archive for faster processing. 2) let users choose from the available metadata editors but not modify them. Metadata macros are now sorted in a natural order in the list views. This update is made available to partners only, through Auto Update. This requires a partner NFR key. This release is only available in English. The public release will include complete localization. 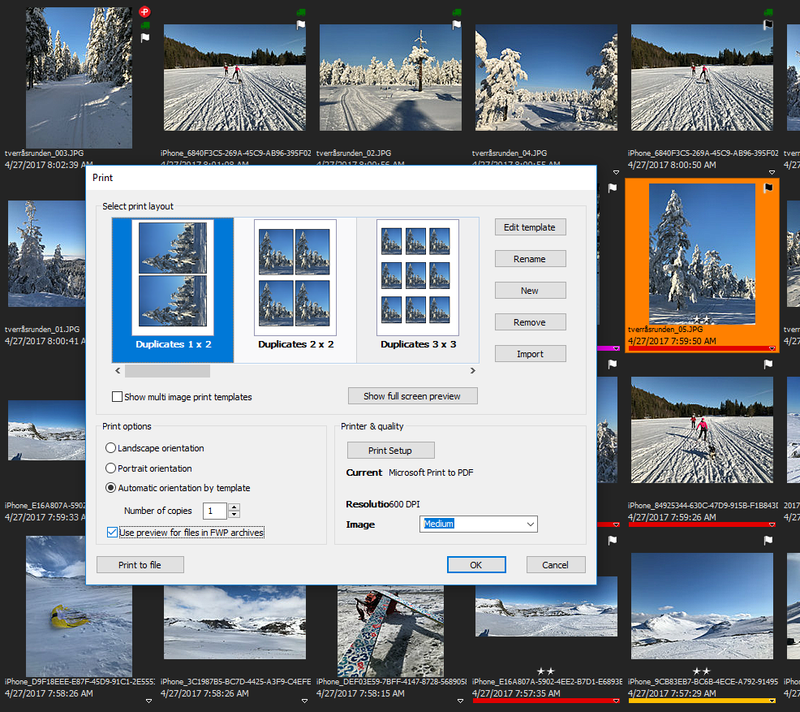 The next Feature Release of FotoWeb 8.0 is now available for download! We have combined two popular tools and created a new tool that simplifies the crop and download experience. Select your files, click Crop & Download, create a crop frame and then download. You can create and share presets to make the user experience even more streamlined, similar to the export tool. The cropping will not be applied to the original file stored in FotoWeb. This is useful in situations where a tight integration towards FotoWeb is not yet in place and users are required to download files from FotoWeb at a given size and upload them to e.g. a third party CMS while matching the size requirements defined in that system. 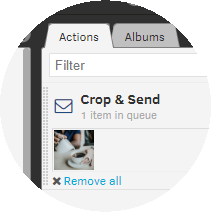 We have made the cropping tool available in workflow actions as well. 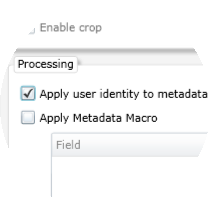 This means that the actions can be configured to allow pro users to perform a crop before an asset is sent to a destination (FTP, File System or email) without affecting the original file stored in FotoWeb. 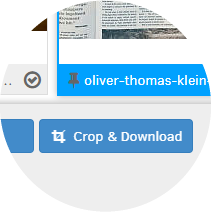 A potential use case for this feature is in an editorial workflow where an image editor suggests a crop of a subject in images and sends them directly to layout. 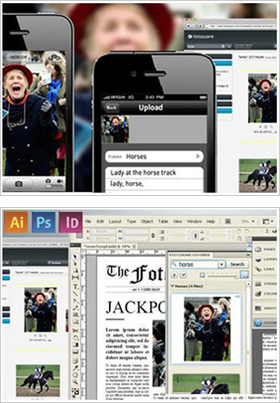 Layout will then receive the cropped images and can place the ready-processed images directly into an InDesign article. Actions can now be configured to send assets that include information about the user who executed the action. The information will be stored in the metadata of the processed files when enabling this option in the Operations Center. The original asset will not be affected. FotoWeb users with permission to change site appearance will now be able to customize even more, directly from the main interface. These customizations include site logo, login logo, and CSS. The custom site logo will also be used in emails sent from FotoWeb. 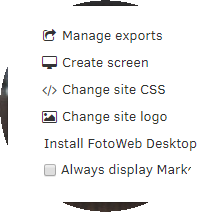 Also new is the possibility to change the page title that is shown when accessing FotoWeb in your browser. Fullscreen preview with next/previous controls and metadata preview. We have added the possibility to print assets directly from our user interfaces. The configured built-in fields such as Title, Description, and Tags will be present together with the preview when a single asset is printed. It is also possible to print an album which would print all thumbnails and their corresponding filename. Connect 8.0 fully supports file transfers to and from Index Manager FWP 2.0 Servers. This gives you increased flexibility with Index and Workflow servers locations, allowing them to reach each other across the internet. The transfers can now be done completely without access to file shares, and with greater reliability and consistency than FTP transfers.This allows Connect to become a strategic solution for your customers’ transition to cloud. Using Connect, you can now start building workflows that moves files to the cloud, or migrates archives to FotoWare’s SaaS offerings. This version of Connect will be fully compatible with our Managed Index Service, POOL, when we launch it. The Index Manager source is now improved with support for HTTP only connections using FWP 2.0Support for older versions of Index Manager is still maintained, but will require access to the file shares as before. Never has digital asset management offered this many features to increase the value of your assets. 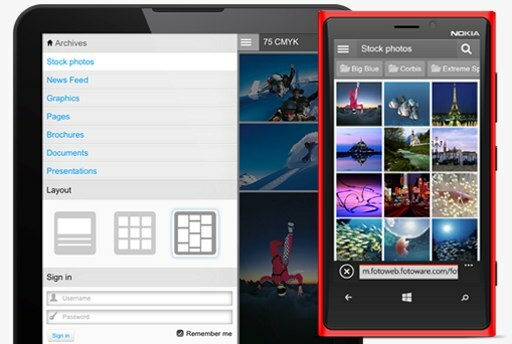 Publish pictures directly from EpiServer, WordPress, eZ Publish and other CMS systems. Supports virtually all containers and codecs in any browser, with flexible download options. 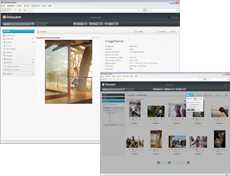 With the new CMS Export module for FotoWeb, any picture in your FotoWare Digital Asset Management system can be used on your website or intranet solution. Size, crop and improve your pictures to really make them stand out. Revoke pictures manually or set a date when the pictures should be automatically revoked. Go ahead and make your website shine with great pictures! Access your assets from anywhere with FotoWeb HD for iPad! Search or browse archives, and view the contents of individual folders in archives. Check the quality of pictures with the image zoom. 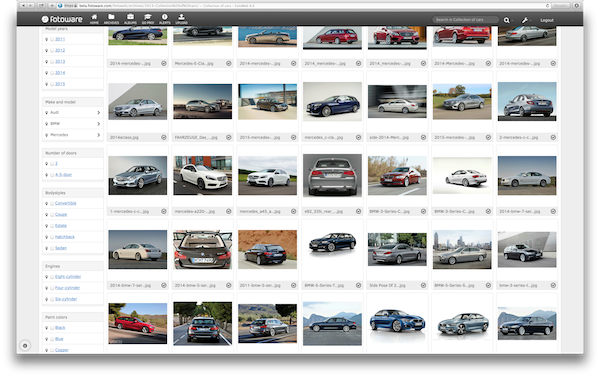 Make selections and share them on a FotoWeb Screen to review your picks with your colleagues. 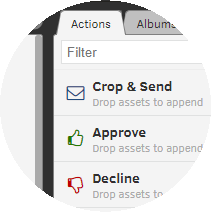 Rate and prioritize pictures and send them to other users or systems in seconds. Create several upload jobs, each with different metadata requirements. Infinite scrolling has been introduced in the FotoWeb Classic interface. This means you can scroll through your assets without having to navigate between pages. When you reach the bottom of the grid, new thumbnails will be loaded automatically to let you keep on scrolling. The grid page also automatically adjusts to your browser size. This navigation method is now available in all FotoWeb user interfaces! FotoWeb for Android lets you search and browse archives on the FotoWeb DAM server, preview and zoom in on high-resolution pictures and read file metadata. Upload files from your phone and add metadata to them in the process. FotoWeb gets a completely new set of templates that are designed specifically for public use. The templates will give the users a completely new experience. For those who publish images or other data to inexperienced FotoWeb users, the new templates are easy to use and understand. The templates can be set up to search in many archives simultaneously, and the user can monitor the number of hits in each archive (Enterprise version only). We have also introduced infinite scroll, making browsing through large archives or hits much easier than jumping from one page to another. The new public templates also work seamlessly on handheld devices like iPad and iPhone (Responsive Design), and the enhanced zoom tool also works on iOS devices. FotoWeb now boasts a new workflow module that lets you edit metadata before delivering files to a destination. Required metadata fields can also be set and work similarly to FotoStation. We have also made it easy to add the same metadata to several files when running them through a workflow. The new workflow module is also substantially faster than the previous version. 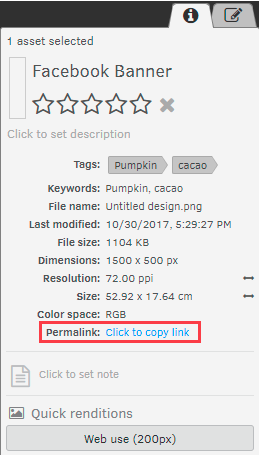 Pictures that are processed in a Color Factory channel can now automatically receive geodata (GPS based coordinates) based on the Country/City information found in the metadata. If the image already contains GPS coordinates, Color Factory will insert Country/City and exact location. With SR5, IP communications between all FotoWare applications support encryption. This implies that client-server communication is transferred in encrypted form, and the same applies to communications between e.g. 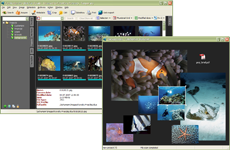 Index Manager and FotoWeb servers. Connect also supports secure connections to FotoWeb and Index Manager archives. Finally, server configuration in the Operations Center can also be SSL-enabled to add security throughout the system. 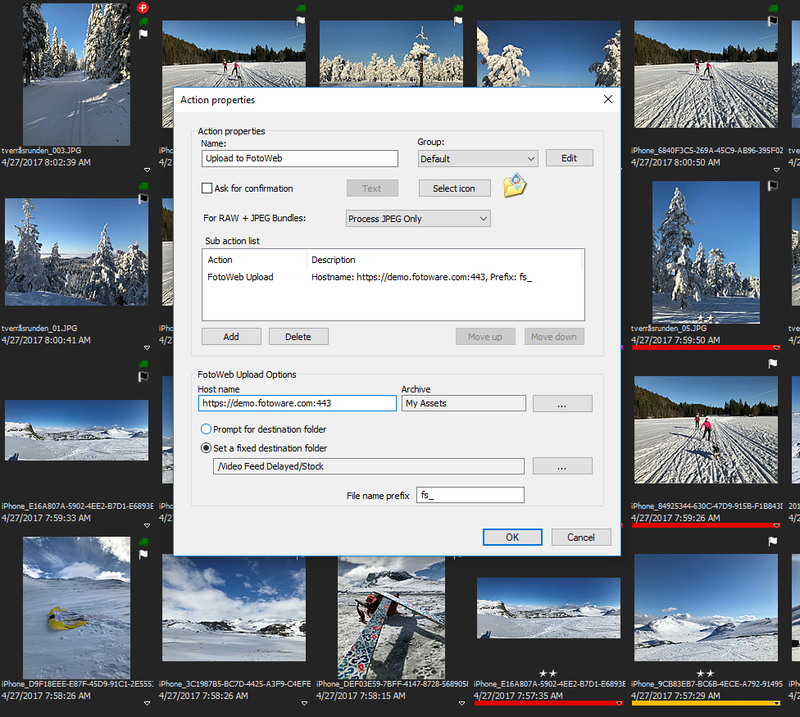 In the upcoming Service Release 4 of version 7.0 FotoWare introduces new features and functions that will facilitate the access to, and workflow capabilities of your preferred FotoWare media bank, FotoWeb. 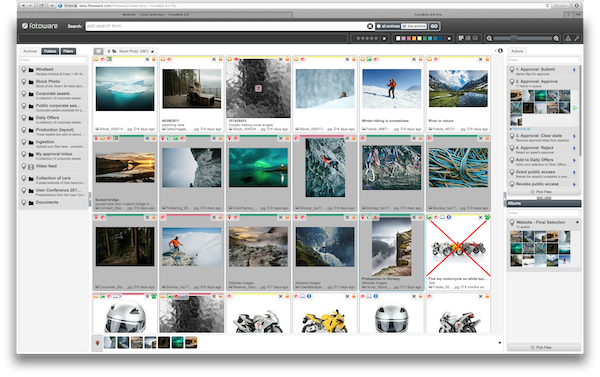 The web based Digital Asset Management solution is reaching out to all relevant users of a DAM system, and makes it quick and easy to search and retrieve images and graphics, and place them straight into your document. With FotoWare’s new iPhone App media professionals can access their archives from anywhere with their iPhone. They can search and browse archives, and professionals out in the field can add metadata to new pictures, and upload to the FotoWare server. Users can get alerts on their iPhone when new pictures from any source arrive, – thus articles can be updated up to the very last minute before deadline. 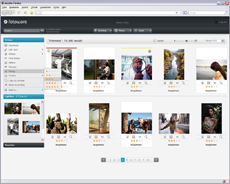 FotoWare’s new Extension for Adobe CS5 makes it quick and easy for Graphical Designers to search and retrieve pictures and graphics from the FotoWare archive inside the user interface of Adobe InDesign, Photoshop and Illustrator. Adding pictures and graphics to an InDesign document has never been quicker and easier than this! Finding the correct picture for enhancement in Photoshop, and the corresponding graphic in Illustrator for editing, is just as easy. Just like the FotoWare plug-in for Microsoft Word and PowerPoint that was introduced in Service Release 3, the new Extensions provide access to the FotoWare media bank inside the native application. 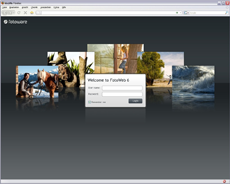 Users with login can therefore take advantage of FotoWare’s powerful search technology and find the desired file without leaving the well-known Adobe user interface. FotoWare offers a very specialized and complete solution for storing, processing, retrieving and distributing digital media files, including audio, video and images. Microsoft has opened the possibility for other providers to supplement the Office suite with additional functionality. You no longer need to leave PowerPoint or Word when searching for visual elements to support your presentation! Search in any internal or external FotoWeb archive inside the PowerPoint and Word interface! 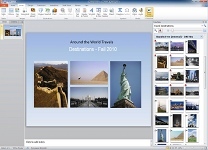 Resize, crop and rotate the file when dropping into PowerPoint and Word! Save even more time by quickly adding your most used files to a list of favorites. “Office applications allow users to process media files, but our solution is more specialized for this, more complete and provides much better workflow. 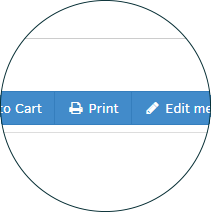 We enrich the Office suite by giving FotoWare users a professional tool available via the toolbar. With one click they get a task panel where they can search and find media files in both internal media databases and external photo agencies,” says Mr. Syversen. FotoWare presents version 7.0 of the FotoWare product suite containing new groundbreaking and high speed opportunities. In the re-designed FotoWeb 7.0 the new image processing engine enables on-the-fly image processing and delivery. When a user requests to download a file or order it using the shopping cart, preset profiles control file format and color space conversion, resampling (useful if you don’t want to download a 300-megabyte TIF file), custom watermarking and application of unsharp mask. The new FotoWeb Upload Tool allows you to select any number of files to upload using a standard system dialog box and send them all off in a single operation. Connect 7.0 is the new file transfer automation server from FotoWare. It monitors multiple inputs and distributes files from local or network folders, FTP sites, FotoWeb servers, and email servers. FotoWare helps newspapers, public services and corporate customers to find, process and share their images and documents. With millions of licenses sold in ten different languages since 1994, FotoWare plays a pioneer role in the industry of Digital Asset Management (DAM). Today FotoWare announces the transition to full XMP metadata support with the release of FotoWare version 6.0. XMP fits perfectly with FotoWare’s philosophy and indexing technology platform, and is fully compatible with existing installations. The shift from IPTC to XMP metadata support in all FotoWare applications opens new opportunities to the users. Metadata can now be added to any kind of file type, making it fully searchable by a FotoWare system. The multi-lingual support of XMP allows users to write and search for metadata in any language, a function warmly welcomed by international media houses and global players in the corporate market. What’s all this talk about XMP? Put simply, XMP is a standard for storing metadata in files. 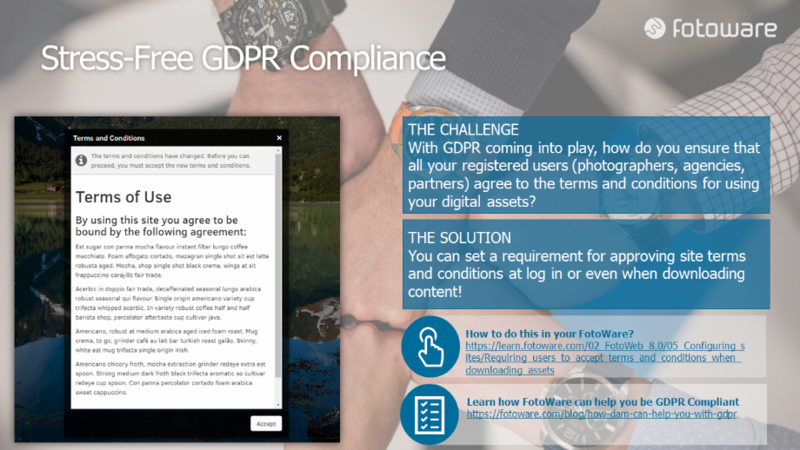 In the past, FotoWare systems have relied on IPTC for storing information with files, a standard which has proved to have many limitations, particularly because it has only been partly compatible with many new file formats. With XMP, however, metadata can be added to any type of file. For FotoWare, XMP has proved an absolute treat. It has allowed us to retain backwards compatibility while incorporating native support for the new standard throughout our product range. From a user’s point of view, the transition is completely transparent. When adding metadata to files that don’t support XMP data written directly to the file, an XMP sidecar file containing the metadata will be created and follow the file wherever it goes in the FotoWare system. But we have taken the benefits of XMP a step further: By taking advantage of the multilanguage support in XMP, businesses operating in several countries can effortlessly add metadata in several languages, and it is possible to choose between searching only within a certain language or across all languages.